The growth and stability of Wanatah has been in part the result of its being founded at the junction of two railroads. The Louisville, New Albany and Chicago Railroad began in 1848 and by 1853 was completed from Louisville to Michigan City. The railroad ran from the Ohio River at Louisville, Kentucky and New Albany, Indiana through Bedford, Greencastle, Lafayette, and New Bradford to Michigan City. Later this Railroad acquired the Indianapolis to Chicago Railroad. These two railroads crossed at New Bradford near a stream called the Monong, named by the Potawatomi Indians and meaning 'Swift Running Water'. In 1879 the town of New Bradford changed its name to Monon and the railroad began to be known as the Monon Railroad, but not officially changing its name until January 10, 1956. The Monon ran its last train in September 1976. 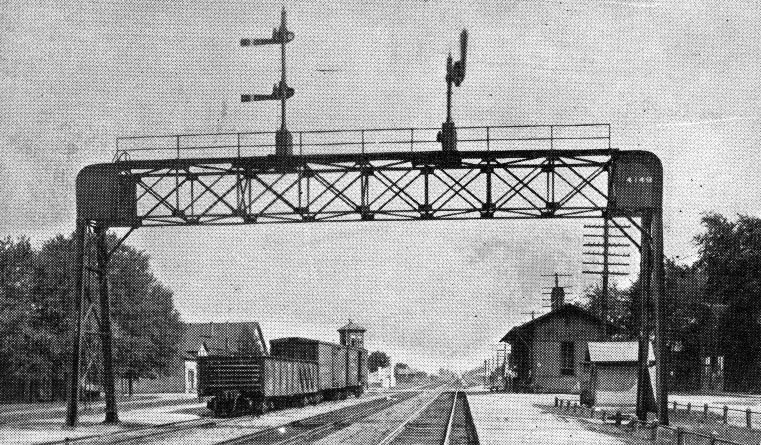 The Pennsylvania Railroad was constructed through LaPorte County in 1852-1854 and crossed the Monon Line at what later became the town of Wanatah. 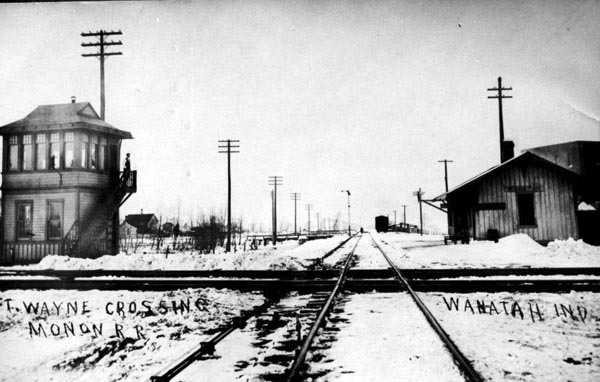 Although the station in Wanatah is no longer standing, the train still runs through the town.